The first photokina imaging trade show was held in Cologne, Germany, in 1950. At that time, the German photographic industry was ascendant and vigorously reemerging from the cataclysm of World War II. Cologne remains that beautiful city on the Rhine today, some 66 years later when much of the manufacturing in the imaging industry is centered in Asia. Part of photokina’s appeal is the magnificence of the venue—the Cologne Messe (Koelnmesse), with its 14 cavernous interconnected halls, each the size of a football field. It is also a testament to the talent and hard work of its organizers that photokina remains the premier international event showcasing all aspects of imaging. Notably, this includes world-class photographic exhibitions. The official stats for the five days of photokina 2016 may not be record setting but they’re nevertheless impressive: 191,000 visitors and 983 exhibitors from 42 different countries. The show’s new concept theme was Imaging Unlimited. Under that banner was a plethora of individual trends highlighting the increasing diversity, vibrancy and also the continuing relevance of the photographic image. Obviously we can’t cover everything we saw at photokina 2016 in this space, but here’s a rapid rundown. 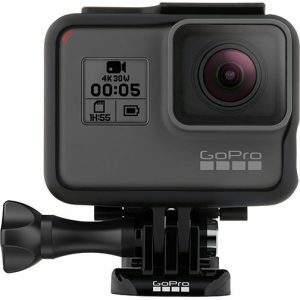 On the surging action cam front, GoPro released two models in its new Hero5 series. The 12 megapixel Hero5 Black has a touch-screen LCD ($399.95). And the smaller 10MP Hero5 Session is a 10MP cam with no LCD ($299.95). Both can capture 4K 30p video, feature sensor-based image stabilization and are also waterproof to 33 feet. 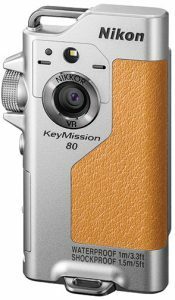 Nikon unveiled two new models in its action-oriented KeyMission line at photokina 2016. They join the earlier-announced KeyMission 360. The shockproof, waterproof (to 33 feet) KeyMission 170 takes 170º wide-angle 4K UHD 30p videos as well as stills. It can also capture slow motion, superlapse and time-lapse movies. It also provides movie + photo and loop recording modes. The wearable KeyMission 80 features one-handed recording. It is weatherproof but not waterproof. 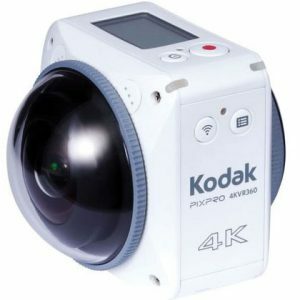 In addition, Kodak showed the tiny, futuristic-looking PixPro SP360 4K VR cam in its line of 360º 4K video cameras. It sports a 20MP CMOS sensor and includes stitching software in the price. At least four major new drones were announced at photokina 2016, and I got to ogle two in person. Both are elegantly designed, folding, four-rotor quadcopters. The first-ever drone from GoPro, the lightweight Karma, boasts an ingenious proprietary design that folds to fit into a slim backpack. It is controlled by a game-style joystick and comes with a three-axis stabilizer. It’s slated to go on sale October 23 at $799.99. DJI’s Mavic Pro ($999) is claimed to fold down to the size of a bottle of water. It can be controlled from a distance of 4.3 miles and flies up to 40 mph. Additionally, it can capture 4K video and be flown by phone or Wi-Fi. Naturally, all the new drones are designed for easy mounting of small action cams, which is why they qualify as imaging products. Sigma introduced two high-performance Art series lenses that were shown in Canon mount. They also showed another in the Sigma Sport line. 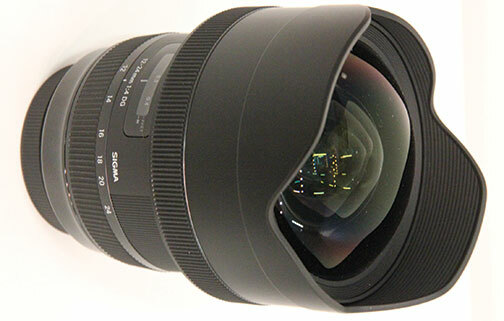 The Sigma 85mm f/1.4 DG HSM Art is targeted at portrait and low-light shooters. It features an advanced optical design as well as weatherproof construction. The 12–24mm f/4 DG HSM Art covers full-frame and APS-C cameras and incorporates one 80mm aspheric element to enhance performance. In addition, the hefty Sigma 500mm f/4 DG OS HSM Sport has a new intelligent OS algorithm to enable image stabilization along with effective panning. Tamron showcased an upgraded Tamron SP 150–600mm f/5–6.3 Di G2. It employs three low-dispersion elements and a clever flex zoom lock that locks at any zoom position. It also has enhanced VC (vibration compensation) image stabilization that’s said to provide a 4.5-stop advantage in handheld shooting. Olympus released three high-performance lenses. 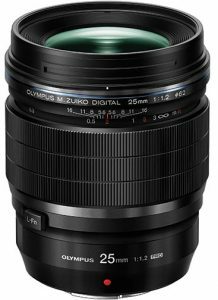 The M.Zuiko ED 25mm f/1.2 Pro is said to be their finest ever high-speed normal lens. The wide-ranging M.Zuiko ED 12–200mm f/4 IS Pro is claimed to provide an industry-leading 6.5 stops of image stabilization when mounted on the Olympus OM-D EM-1 Mark II. Also debuting was the compact, lightweight M.Zuiko ED 30mm f/3.5 Macro lens. Leica unveiled a 50mm f/1.4 Summilux SL Asph lens based on an audacious new concept—an 11-element internal-AF design with two aspheric elements. Its built for the full-frame Leica SL mirrorless camera. Additionally, it’s reported to deliver even better imaging performance than the legendary 50mm f/1.4 Summilux-M.
At the other end of the optical spectrum, Zeiss, of all people, announced two lenses for iPhones in collaboration with ExoLens. They showed the 56mm-equivalent Zeiss Mutar 2.0x Asph T* for portraiture and the Zeiss Vario-Proxar 40-80 T*, which isn’t a zoom but lets you adjust the focus to fill the frame when photographing small objects. Panasonic showed its long-awaited GH5, but alas in a locked showcase as it is still under development. 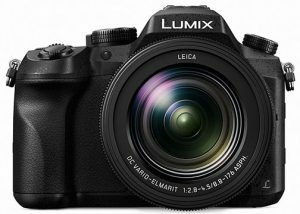 Panasonic pitched it as the world’s first mirrorless camera capable of 4K 60p/50p video and including a 6K Photo mode capable of extracting 18MP still images. However, no additional tech data was released. At the Panasonic counter they did show the Lumix DMC-FZ2500, a cool mirrorless compact with a 1-inch, 20.1MP CMOS sensor and a built-in ND filter system. It can record in 4K while sharing video via its HDMI port. It’s slated for November delivery at $1,199. 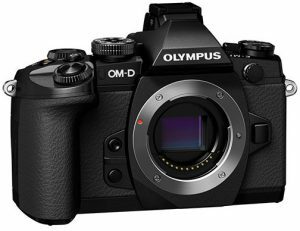 Perhaps the most intriguing mirrorless camera to debut at the show was the Olympus OM-D E-M1 Mark II, which looks a lot like its predecessor but is actually a serious upgrade. It has an entirely new AF system incorporating a wide array of 121 cross-pattern focusing points that provide both phase and contrast detection! As a result, it can capture full-res bursts at up to 18 fps with full AF using its electronic shutter! Two medium-format, mirrorless cameras garnered a lot of attention at photokina 2016. 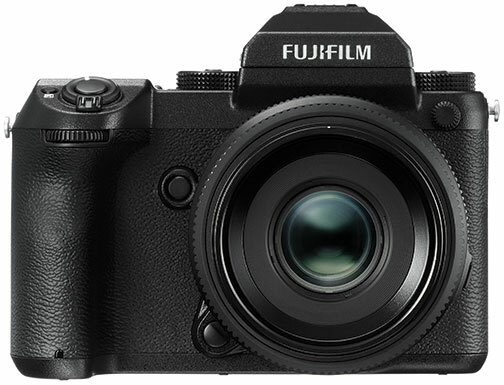 There are the Fujifilm GFX and the Hasselblad X1D. The Fujifilm GFX, also still in development, is an attractively compact 51.4MP camera with a 43.8×32.9mm CMOS sensor and a very short back focus of 26.7mm. Fujifilm will offer a range of six G-mount lenses for the GFX, from superwide 23mm to a 120mm macro, with built-in optical stabilization. Regrettably all this was ensconced in glass showcases. So was the striking new Bauhaus-design Hasselblad X1D medium-format, mirrorless camera. It’s claimed to have a modular form factor inspired by Hasselblad’s iconic V-series film cameras. It provides HD video capture, Wi-Fi and GPS, all in a weatherproof metal body that weighs a mere 1.6 pounds. Oh well, at least we did get to play with the Hasselblad H6D, the latest member of the H line. It was shown in a 100MP version with 4K video capture, a high-def touch screen, Wi-Fi connectivity and an HDMI port as standard. 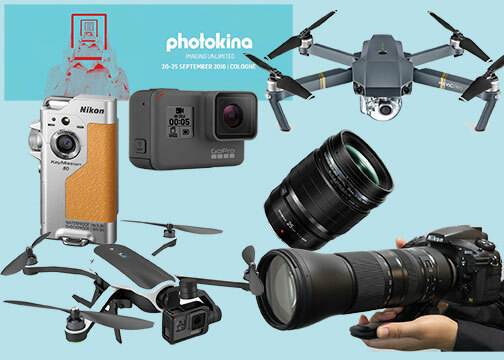 All in all, there was a great breadth of imaging innovations presented at photokina 2016, making it a very successful show for all sectors of the imaging industry.